Mishaun Arrington Photography produces fun loving, natural images with an original twist on the photojournalist style. Taking every couple step-by-step through some of the most exciting moments in life, Mishaun is able to capture the essence of love through her lens. 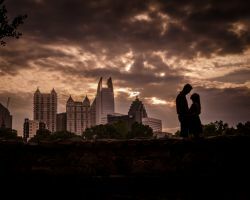 Becoming a top Atlanta wedding photographer has not stopped Mishaun from working with budgets to offer affordable wedding photography packages. If you are looking to receive exceptional customer service and a life long memories to enjoy, you should reach out to Mishaun Arrington Photography today. Dylan Strus is a photographer with artistic talent and an exceptional sense of humor and charisma. Working with Strus will include all of the benefits of his creative vision. The aroma with Dylan Strus will consist of positive energy and comfortability. Dylan Strus can create best photo shoot in Atlanta,GA. 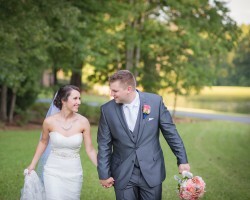 Jaimie Dee, the owner and lead wedding photographer for Jaimie Dee Photography, is one of Atlanta’s best creative directors when it comes to designing and capturing your big day. Offering all inclusive photography services, this studio specializes in creating true works of art offered through canvas, metal prints, and European designer wedding albums. As Jaimie Dee Photography is a boutique wedding studio, they accept only a limited number of weddings per year to ensure the best customer experience and the highest level of service for their clients. Visit their website to view their portfolio and check your wedding day availability. 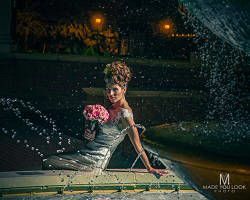 Made You Look Photography is made up of a group of top notch Atlanta wedding photographers who produce stunning creative one-of-a-kind images. This award-winning team specializes in wedding photography, videography, and graphic artistry. The prestigious, full service wedding packages also come with unmatched customer service and an opportunity to own extravagant custom wedding albums for a lifetime. Reviews for Made You Look Photography service puts them on a list of the most exclusive wedding photographers in the Atlanta area.